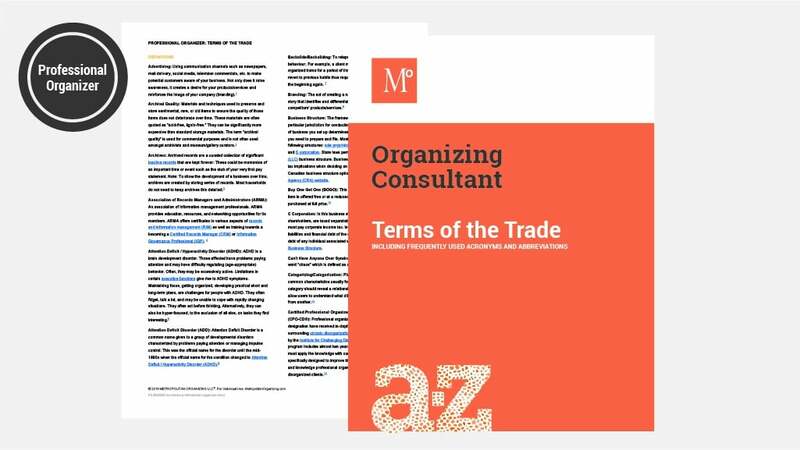 Sound like a seasoned professional and communicate clearly with a complete glossary of terms for Organizing Professionals. Are you baffled by some of the acronyms or technical terms used by seasoned professional organizers? 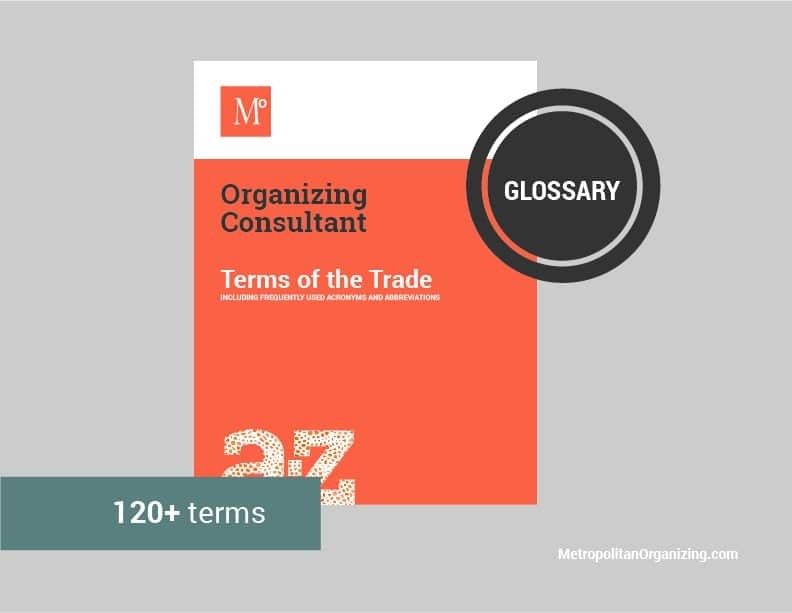 Stop the confusion and get clear on the jargon with this glossary defining over 120 commonly used words in the organizing industry.